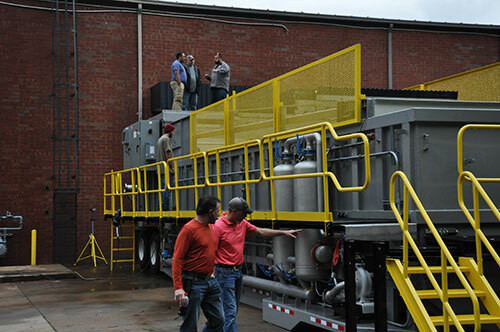 The Ecologix ITS-1500 (1,500gpm or 51,400bbl/day), has the largest capacity and smallest footprint compared to any of our previous generations of Flowback and Produced Water treatment systems. The system is designed to precipitated and remove TSS (Total Suspended Solids), Emulsified Oil and Dissolved Metal (such as Iron). Furthermore, it can be used to adjust pH, introduce Scaling Inhibitors and Disinfect the water. The process deploys Dissolved Air Flotation (DAF) that has long been used to separate solids from waste streams to float the sludge and remove it with a scraper, but will simultaneously remove heavy solids, as well. Maximum Loading rate 0.64 GPM/prj sq. ft. Projected Surface Area 2850 sq. ft. Overall System Height 13' 9"
Overall System Width 11' 6"
No matter the formation, regardless of frac fluid chemistry, suspended solids (TSS) must be removed in order to reclaim flowback and produced water for reuse. Otherwise, solids interfere with frac fluid performance and they plug up the fractures down-hole. Depending on the frac species (slickwater, gel, or hybrid) you have to treat water to enable the proper formation of the frac fluid. The general axiom is – use the lowest quality of water that will satisfy the needs of the process. For any formation, TSS removal is priority #1. 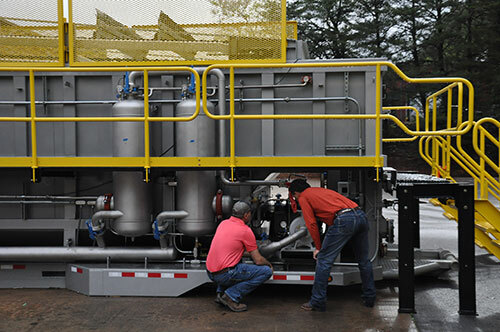 There are plenty of technology options available promising the ability to recycle frac water. Whether or not they’re viable is a numbers game. The ITS technology removes TSS, disinfects, and removes performance inhibiting ions from flowback and produced water, at or below the cost of sourcing, trucking and disposing of fresh water. 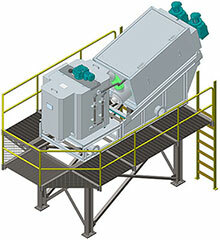 Our pre-engineered polymer mixing system is designed with intuitive controls. It is an in-line or makedown unit, and is engineered to meet liquid polymer applications utilizing diaphragm or progressive cavity pump technologies. The unique mixing regime delivers a highly activated polymer solution to every application with optimum performance. 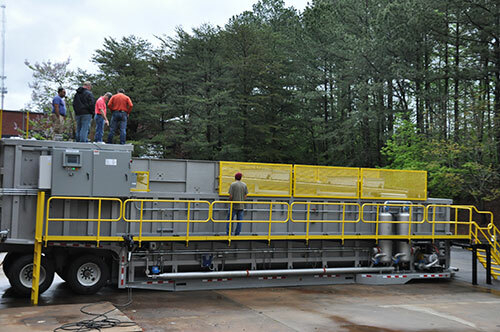 Sludge Transfer Skid: 4″ skid mounted on a skid. 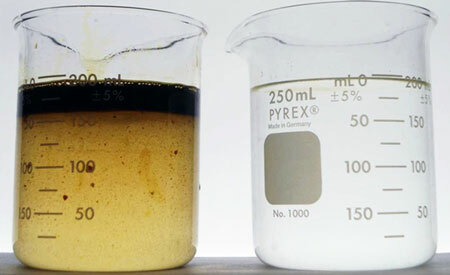 Transfers sludge from DAF system to sludge holding tank, and from sludge holding tank to dewatering system. Eight inch, flanged magnetic flow meter for automatic and accurate sensing of influent and effluent flow rates to treatment system. Meter is equipped with an internal PTFE liner for industrial applications. Easy Remote Access to PLC, HMI, IPC, IP Camera. Industrial VPN router and cell card for wireless communication designed to offer easy remote access across the Internet to machines and installations on customer sites or in the field. 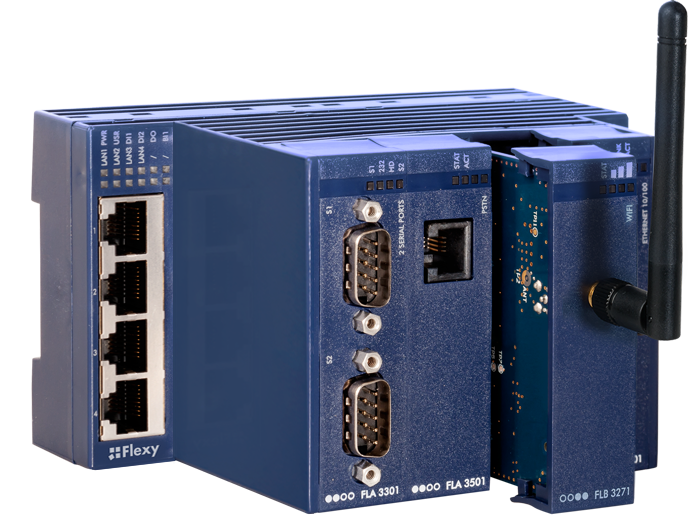 Allows troubleshooting of systems remotely without going on site, drastically reducing support costs. This control panel contains the Allen Bradley MicroLogix PLC with a 10.5” TFT high resolution HMI. It will run the DAF and several other remote I/O skids, such as chemical feed pumps, instrumentation and water pumps. It can connect to other process skids by just adding power and a single CAT5E Ethernet cable. Included is an industrial VPN router designed to offer easy remote access, across the Internet, to machines and installations on customer sites or in the field. Access may be obtained to PLC, HMI, IPC, IP Camera, etc. 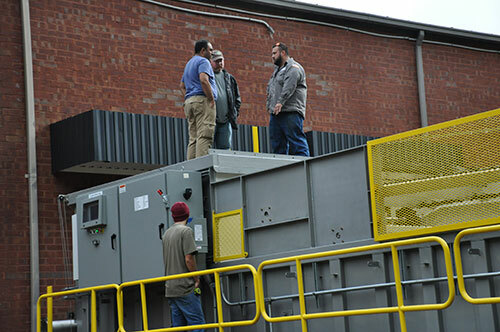 Troubleshooting the machines remotely without going on site will drastically reducing support costs. End suction centrifugal high pressure pump is ideal for use in demanding industrial applications to ensure process reliability, high efficiency and low operating costs. The Ecologix screw press allows for automatic continuous sludge flocculation, thickening, dewatering and filtrate discharging. The thickening zone allows the system to process both highly concentrated sludge as well as sludge with a high water content. 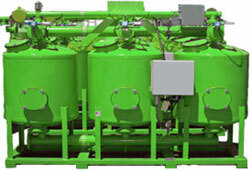 Filtered Backwash on multi-tank systems.Fusion bonded epoxy linings.Grooved inlet/outlet connections.Automatic valves in cast iron or brass.Solid state automation with elapsed timer and differential pressure control.Liquid filled, SS pressure gauges.The filtration media used is the AGMF – Activated Glass Filtration Media.AGFM replaces traditional sand media in all filtration applications. It is manufactured from a specific glass type and processed to obtain the optimum particle size and shape, and then activated to increase the surface area by 300 times over crushed glass or sand. The high surface area is negatively charged (zeta potential) to electro-statically attract organics and small particles. It also has permanent metal oxide catalysts, creating a high redox potential, to make the AGFM self-sterilizing. Learn more about the ITS system, access the whitepaper, brochure, specs and more!